Bruce Knackert manages Lynden's indoor collection of paintings, small sculpture and works on paper. In previous sessions of this series, he has unframed work from the Lynden collection that showed signs of deterioration due to poor framing practices. In this session, he invites you to bring in a framed work from your own collection to take apart and analyze under his direction (May 7). The group will then choose one of these works to be reframed in the second session (June 11). 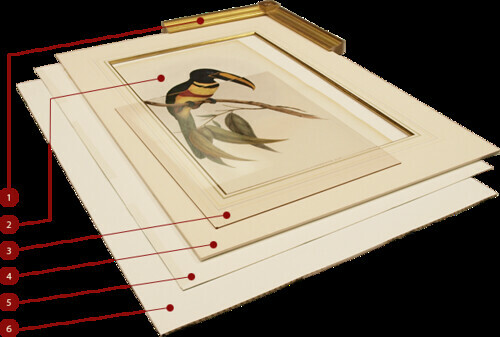 Knackert will reframe the work step-by-step, discussing and demonstrating options for proper glazing, matting, and mounting along the way. Participants will have an opportunity to practice some of the framing techniques, including cutting mat board and glass. For the past 30 years, Bruce Knackert has worked at a number of university art galleries, art museums, a natural history museum and a private art gallery. He received a Bachelor of Fine Arts degree in studio art from the University of Wisconsin-Stevens Point and a Master of Arts degree in painting and drawing from Ball State University, where he held an assistantship in the registration and preparation departments.